Cloud computing is on-demand delivery option of computing resources such as servers, storage, databases, networking, software, and analytics etc. over the Internet. 1- Scalability- Instant scale of services, underlying infrastructure and applications etc. Software as a Service (SaaS): To use the provider’s application running on the cloud infrastructure. The application can be accessible from the various client devices through a thin client interface e.g. Web browser, web based emails etc. The consumer doesn’t manage or control underlying infrastructure including network servers, middleware, OS etc. Apps and data accessible from any machine over the Internet. Platform as a Service (Paas): To deploy onto the cloud infrastructure consumer created or acquire the applications created using programming languages and tools supported by the providers. The consumer doesn’t manage or control underlying infrastructure including network servers, middle-ware, OS etc. 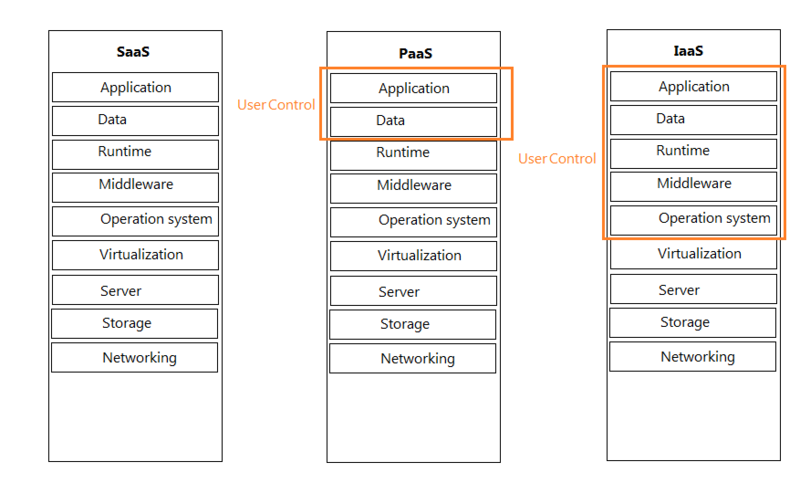 but has controlled over the deployed applications and possibly application hosting environment configurations. Infrastructure as a Service (IaaS): To provision, processing storage, network and other fundamental computing resources where the consumer is able to deploy and run arbitrary software. This can include OS and applications. The consumer can’t control underlying physical infrastructure but has control over operating system, storage, deployed applications and possibly selected control over networking components.